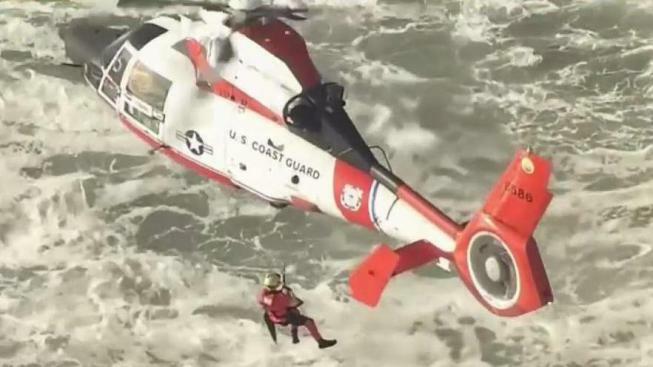 The U.S. Coast Guard suspended their search Thursday morning for a possible shipwreck off the coast of Pacifica after finding debris including clothes, life jackets and pieces of a wooden boat in the water. Officials started their search for potential missing boaters Wednesday after the discovery of wood boat debris. One of the wood pieces have the word "Rio" engraved in a curvy font, and another piece has "Barca" written in the corner. USCG said it believes the name of the boat could possibly be "Barca Del Rio." There weren't any reports of overdue vessels or accidents, but Coast Guard officials are circulating a picture showing a piece of a boat in the sand and asking the public if anybody recognizes it or knows who the boat might belong to. "This is a fairly unusual case. However, our Coast Guard personnel continuously trains for missions such as this one," said Lt. Emily Roman of the Coast Guard. USCG said it suspended the search but the case will reopened if officials receive credible information.